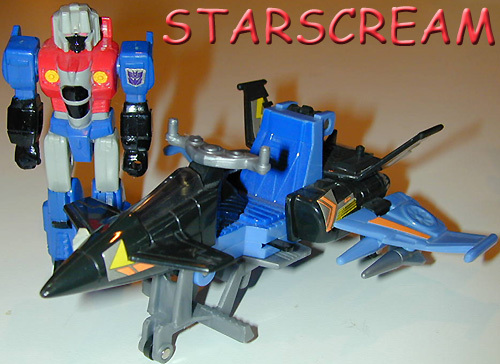 Other Appearances: Surprisingly, Starscream didn't have as many as you might think. He was originally released in 1984. Then wasn't seen again until 1989 as a Pretender Classic. 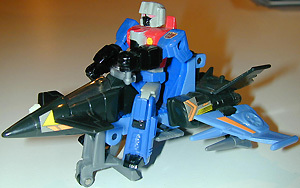 Then there was this Action Master version. 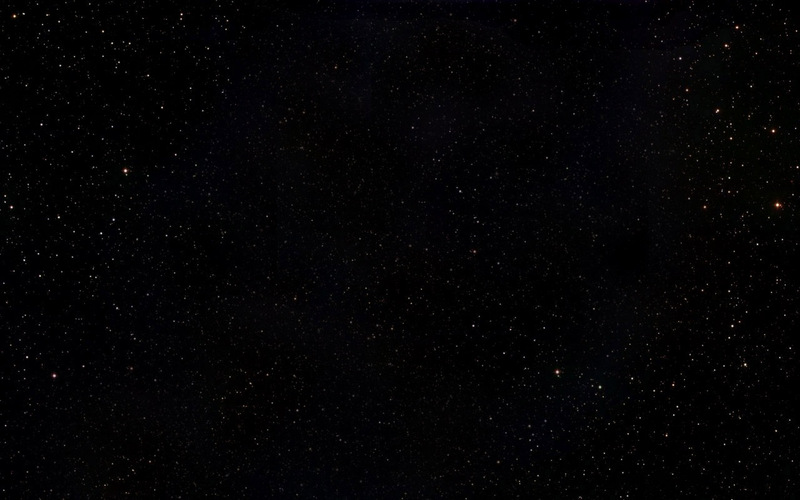 He was brought back in 1993 as part of the Generation 2 line. 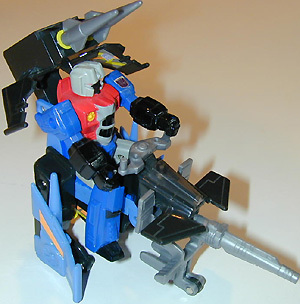 Then he was not seen again until they made a limited release: Machine Wars (machine wars box pics, not yet posted in 1997. He was "BB's" buddy in the BW2 japan line as well.